There are possible side effects on gums from prescribed blood pressure medications. If you suffer from high blood pressure, here is a condition you may want to know more about. 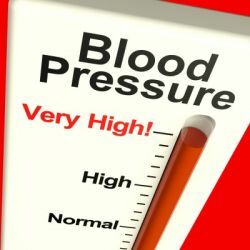 Antihypertensive medications, usually prescribed for treatment of high blood pressure, can cause overgrowth of the gums in people who are susceptible. If this condition is not addressed with your dental professional in the early stages, it will make dental cleanings much more difficult, thus enabling plaque to accumulate. This can lead to gingivitis that can lead to destruction of supporting tooth structure, causing teeth to loosen and, possibly, fall out. To clarify, blood pressure medications may cause changes in size and shape of gums, but the real culprit is plaque. Preventing plaque to build up around teeth, under the gum line, is your best defense. If you are practicing good oral hygiene both at home and through your professional dental care provider, you can minimize the overgrowth of the gums. Your oral hygiene “at home” practice should include brushing at least twice daily and interdental cleaning with floss or small brushes. Rinsing thoroughly and using fluoride toothpaste can aid in reducing bacteria. Your professional oral hygiene care with Ocean County dentist, Dr.Ron Rotem, is the most important element in your overall oral healthcare. If you are suffering from high blood pressure, Dr. Rotem will assess your situation and personalize an oral health care plan to combat the side effects of prescribed high blood pressure medications. If you are taking antihypertensive medication, call Ocean County dentist, Dr. Ron Rotem today for maintaining the best possible oral health care.